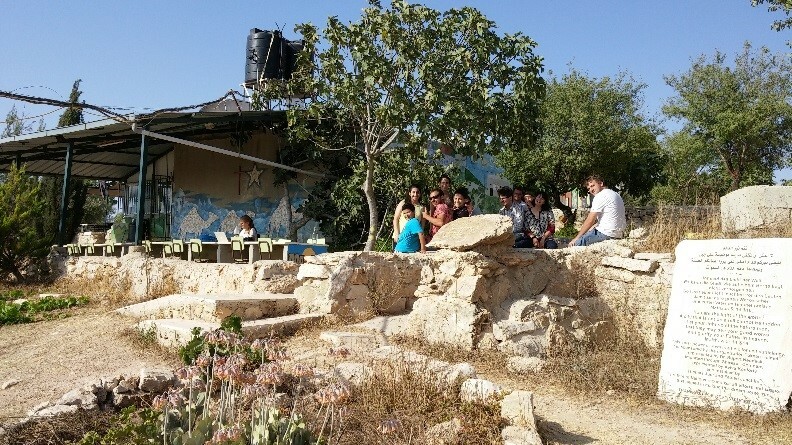 In July, three of us stopped by Daoud Nassar’s hilltop farm, Tent of Nations, near Bethlehem. 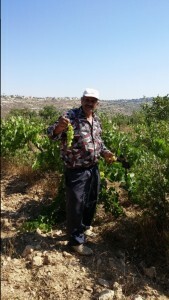 Daher Nassar, the eldest brother, found us picking our way through the boulders and broken rocks strewn on the road by the surrounding settlers to block access to the farm. 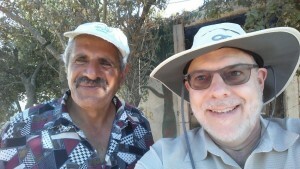 Daher gladdened us with his smiling, sun-browned face, lined by decades of living close to the land where he had been born in one of the cool limestone grottos where the family then lived. Once through the gate, we see a sign that says “We refuse to be enemies,” and our worries fell away. We were in a beloved place. 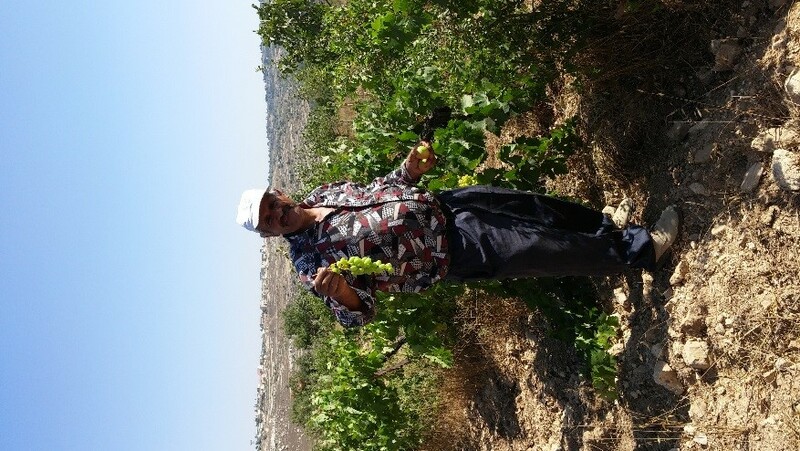 Daher took us around, showing off the apples and grapes he was cultivating, explaining many new projects and old favorite spots. We ended up back at the “Three Camels Café,” that shady porch at the top of the world watched over by three noble mosaic camels put there by local children who come to the camp. Daher and Amal, Daoud’s sister, served us some of the famous sage tea grown on the property. 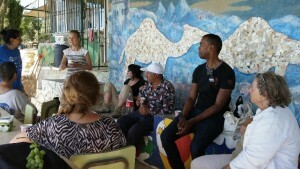 We joined a few young volunteers from Italy, Germany and the Netherlands. Over time, more volunteers came along, singly or in groups from France and Germany and Britain. They wore well-used walking shoes and slung their backpacks down happily. 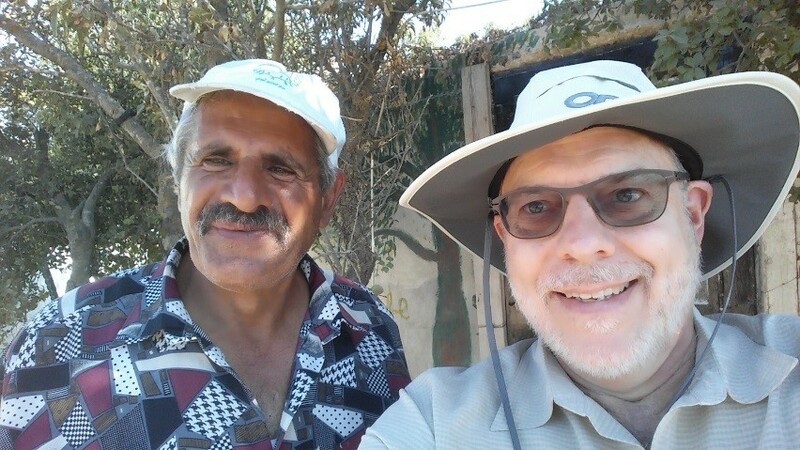 They had clear eyes, open faces and musical laughs – and made themselves perfectly at home under the blue sky and cool breezes of Palestine. 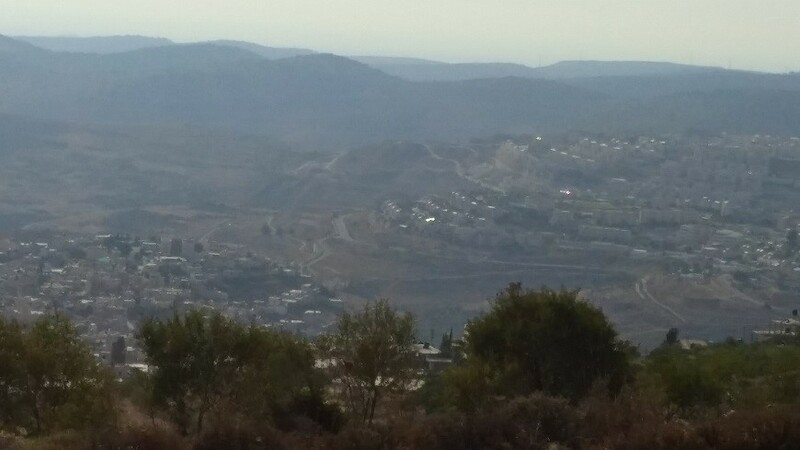 We all gazed out across the dry hills toward the not-very-distant, but for Palestinians, out-of-reach, Mediterranean. It felt like being at the beach. Suddenly there were Nassars everywhere joining Amal and Daher: Daher’s daughters, Daoud’s son and daughters, brother Tony, Um Daher, the grandmother…. 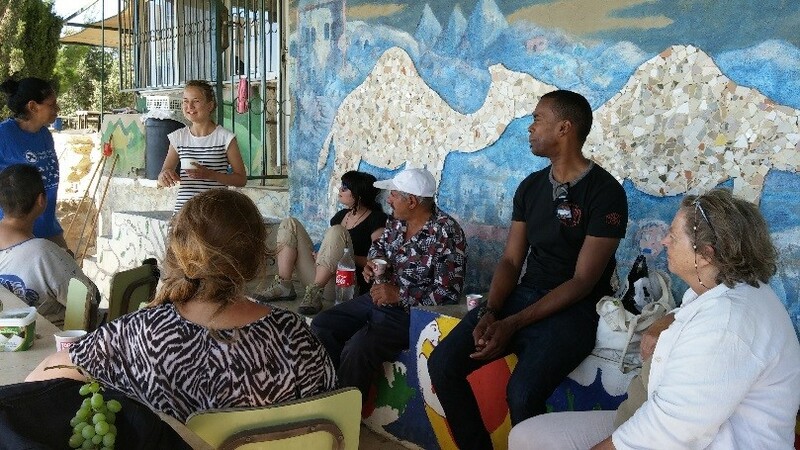 We realized that, beautiful as the place is, the farm is really about beautiful people of the land and the vision they share with people of the “nations,” including many Israeli friends. 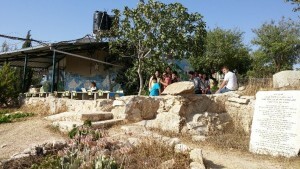 But Daoud was not there; he was busy racing around getting things ready for the first week of the summer camp for kids. 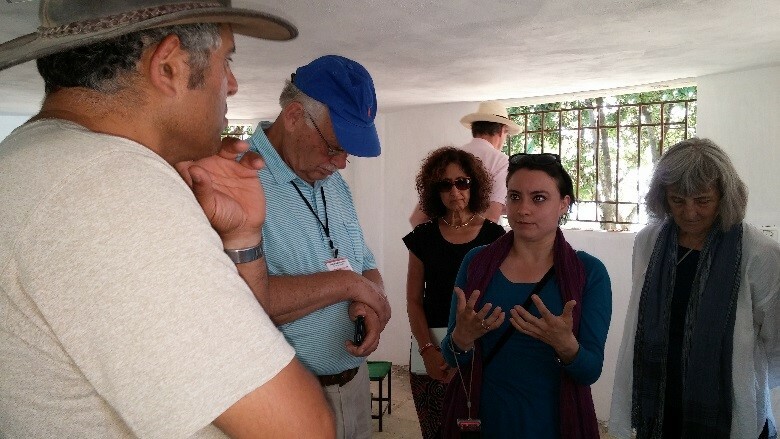 And we realized that Daoud – who has brought his vision to so many Americans and Europeans, and worked so hard with Jihan to protect and improve the land and raise his family – is just the tip of an iceberg of family and faith. Returning a few days later with the 20 people of my Abraham’s Children tour group, Daoud talked with us under the tent about his grandfather’s passion for the land he bought in 1916, for farming it, living on it with his family (which is very unusual for Palestinians, who live in villages), even making it somehow serve as a beacon of brotherly love.